Everyone has heard of ETrade. Their commercials and adverts are seen everywhere, so it would be no surprise to hear that they are one of the better online brokers to go with when it comes to trading. 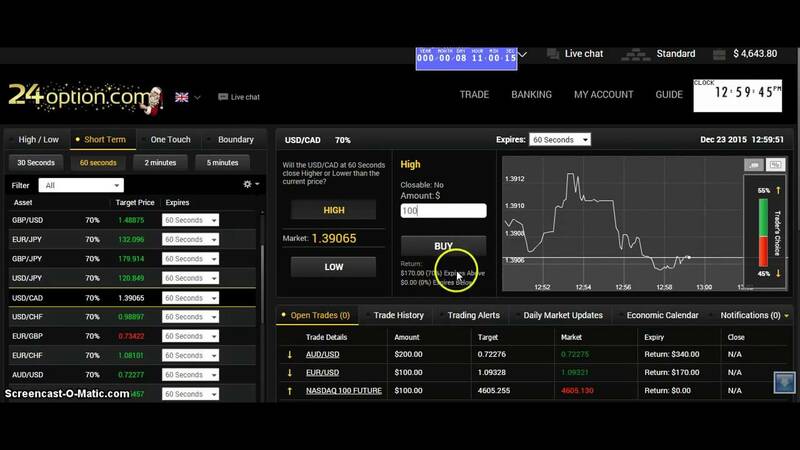 ETrade handles millions of trades on a daily basis and has thousands of customer accounts. They are one of the oldest on the market and make an excellent choice when it comes to their features and educational resources. This ETrade review goes deep into the details of the broker (as provided by Day Trade Review). This platform is probably suited towards day and swing traders as it has a tiered commission structure. 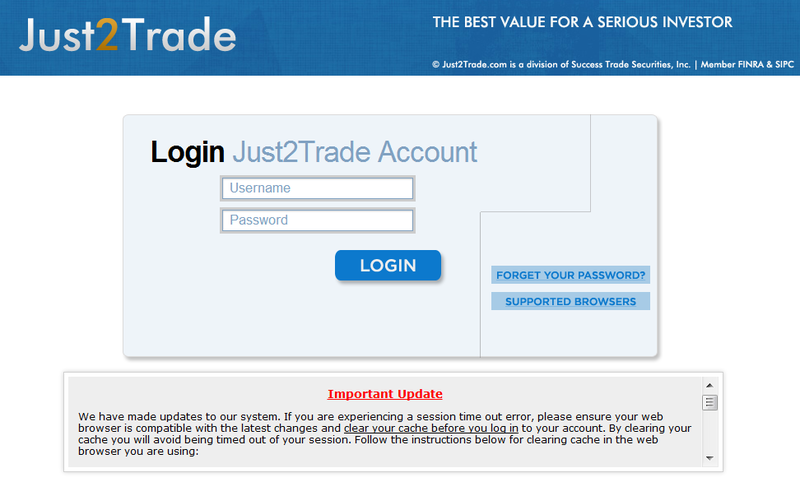 This means that you receive discounts as you trade more and more. With this in mind, this platform should be avoided by buy and hold type investors, as you will be paying more than most traders. This is a great platform for beginners and frequent traders. So, with that in mind, let’s learn about some of their features. When it comes to being a discount brokerage, ETrade doesn’t quite make the cut when it comes to other online broker platforms. ETrade is one of the more expensive platforms to use and you can easily rack up a hefty bill if you aren’t a frequent trader. The reason you’d save more money if you were to trade frequently is because of ETrade’s tiered commission structure. This was briefly mentioned in the intro and the more you trade, the better fees you receive. If you plan on trading standard stocks, you will be charged $6.95 a trade. However, if you are making more than 30 trades a quarter, you will receive a fee of $4.95, which is substantially cheaper than most other platforms. 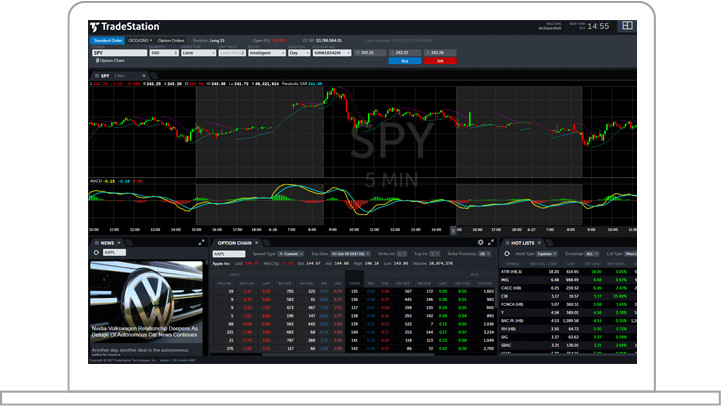 If you want to trade options, you will be charged $6.95 + $0.75 contract fee. If you make over 30 option trades in a quarter the contract fee will be reduced to $0.50. On the bright side, they do have over 100 commission-free EFTs but there is an account deposit of $500 before you can get started with ETrade. 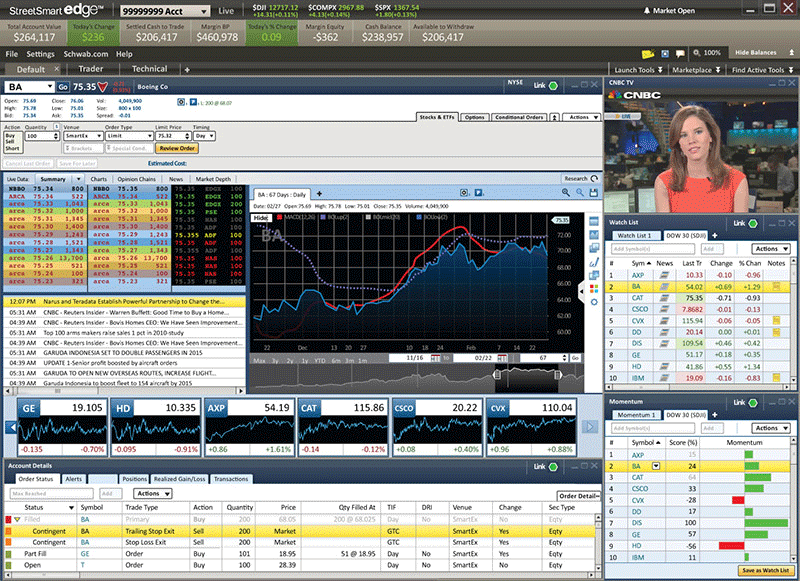 ETrade has a ton of tools and features that make it a good platform to do research with. Research and news coverage are incredibly important when it comes to stock trading as news tends to drastically affect the price and volume. 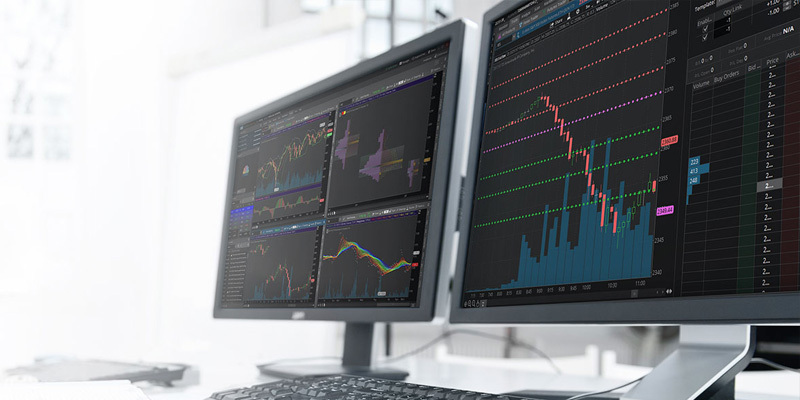 When you use ETrade, you have a range of news platforms to choose from, including Reuters, Standard and Poor’s, MarketEdge and SmartConsensus. The 4 platforms provide an adequate platform to research but it does fall short when you consider the competition. 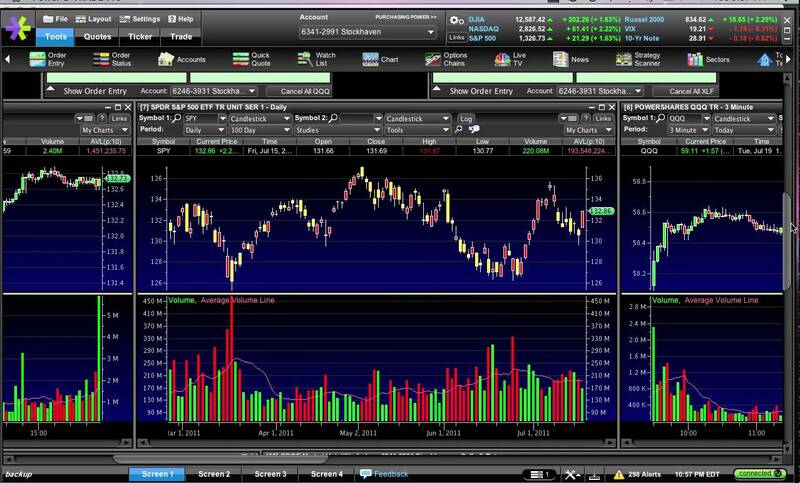 For example, TD Ameritrade provides users with 6 sources. ETrade is excellent when it comes to customer service and they have 30 branches around the country. They provide both phone support and email support but have been known to be a little slow on the phone compared to their competition. 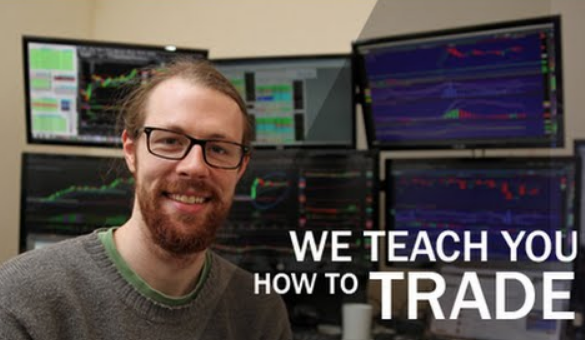 They do, however, provide a ton of information for beginners that should get them started when it comes to stock trading and investing. 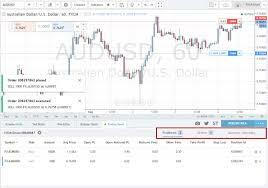 ETrade is one of the more well-known broker platform that is very user-friendly and more suited towards the beginners in the trading environment. 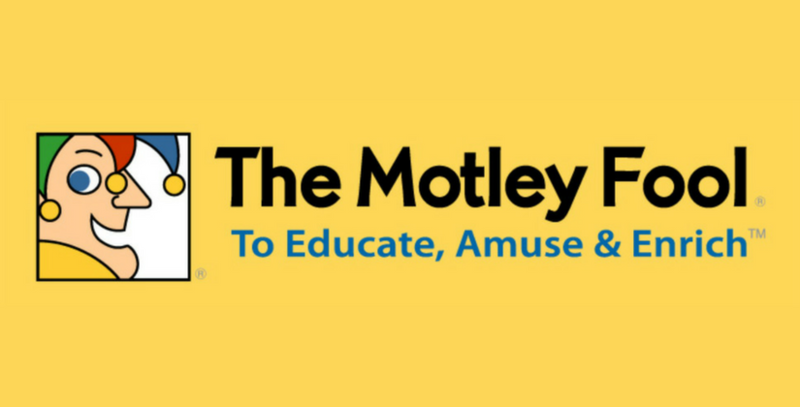 They have a range of helpful tools and have recently acquired Options House to help when it comes to analyzing Options. They have 4 different news sources and are great for frequent traders who make 30 or more trades within a quarter. It is an expensive platform if you buy-and-hold and for this reason, long-term investors should avoid it.